Welcome To The Rehabilitation Institute! place for patient and practioner contact, as well as an information base for new amputees. Some areas of our site are still being updated. We hope to have them completed soon. Have an interesting story or experience that you would like to share with other amputees, contact us and we'll post it here. 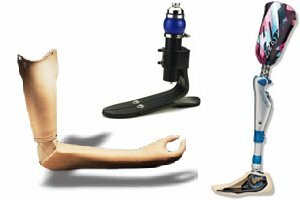 A new feature that will take an in depth look at different aspects of prosthetics. This month's feature: Prosthetic Socks. Let us know what you think of our website by signing our guestbook.